In addition, Nicole Bridal also assist brides and grooms in certain cases within 2 weeks with a small service charge. – A simple veil and a suitcase enclosed. Nicole Bridal focuses on material handling based on high sewing techniques to create beautiful and perfect wedding dresses. Besides, Nicole Bridal always wish to exchange ideas and advice for the most suitable wedding dresses. 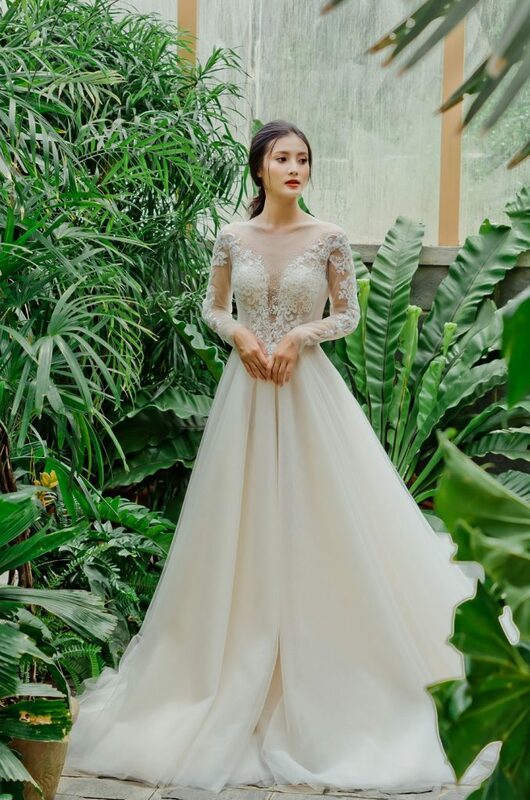 Minimal designs with subtle seams on imported materials and along with the sophistication of tailors from the first cut to the final steps create the fine wedding custom dress. That sophistication brings a clean, pure look for the audience and a perfect feeling for the bride.